If you’ve hung around here long enough you know I have a thing for cupcakes. I literally have an entire page on here just for cupcakes so when I shared my Top Holiday Cupcakes over the weekend I’m sure that no one was surprised. 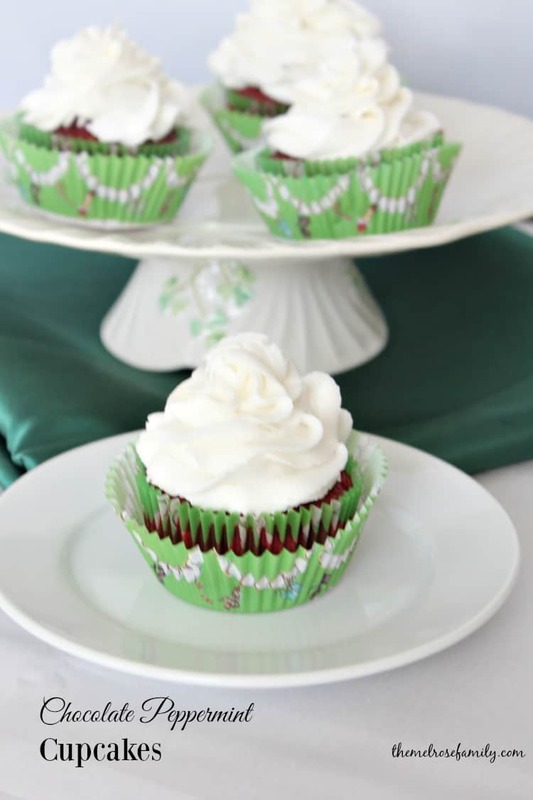 I managed to forget to share with all the craziness of the holidays my Chocolate Peppermint Cupcakes though. 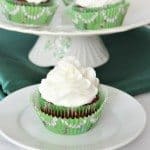 I swear when the holidays hit I just can’t seem to keep up, but these cupcakes are worth sharing because they taste amazing and they’re super easy! 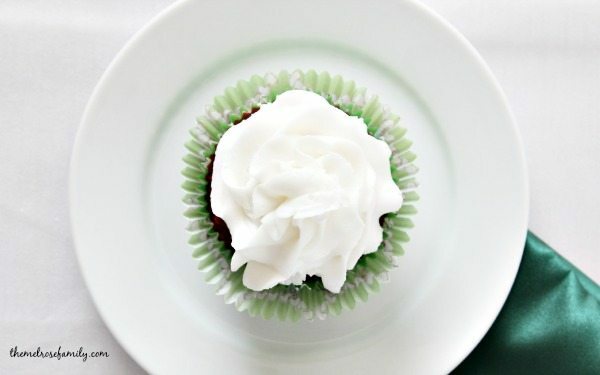 One of my favorite things about cupcakes is definitely the frosting. I love how it looks like a cloud on top of a mountain. Pretty and majestic and absolutely delicious. 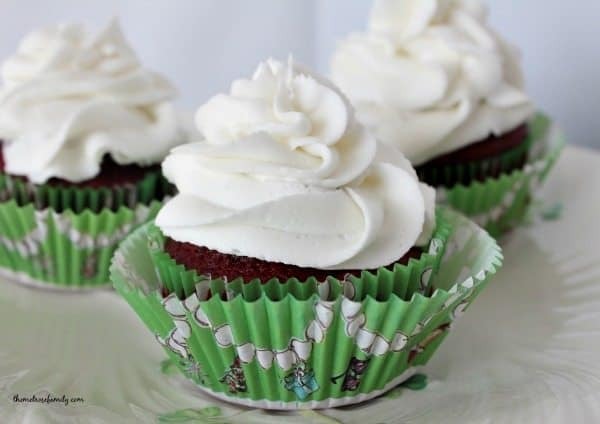 I have a go-to almond buttercream frosting that I absolutely love and it first made it’s appearance HERE on these Lucky Charm Treat Cupcakes. I ordinarily don’t like to send you that far back in the archives, because the pictures are just horrendous, but now I don’t mind it so much because I’m proud of where I’ve gotten to with my photographs. No giggling and if you pin those Lucky Charm Treat Cupcakes, I might have words for you. 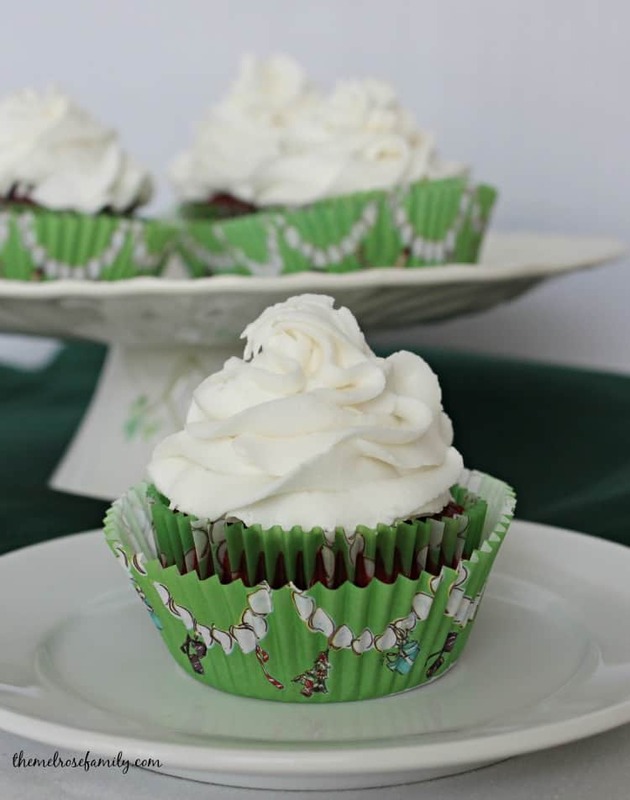 I decided to make these cupcakes a bit more holiday so instead of almond extract, I used peppermint essential oil, but you can also use mint extract to get the same taste. A slight substitution and they still tasted fabulous! Since the holidays are so crazy I have no qualms about using a box cake mix to create my cupcake. Sometimes, you just need to take the easy route, right? Prepare the chocolate cake mix according to the instructions. Bake the cake mix in pre-lined cupcake trays according to the cook times on the box. While the cake bakes prepare the frosting by mixing the vegetable shortening, meringue powder, peppermint oil and water together in a large mixing bowl. Add in the confectioners sugar a cup at a time and mix well to combine as each new cup is added. Let the cupcakes cool and then frosting. I have never heard of meringue powder. I have never seen it. where do you get it?